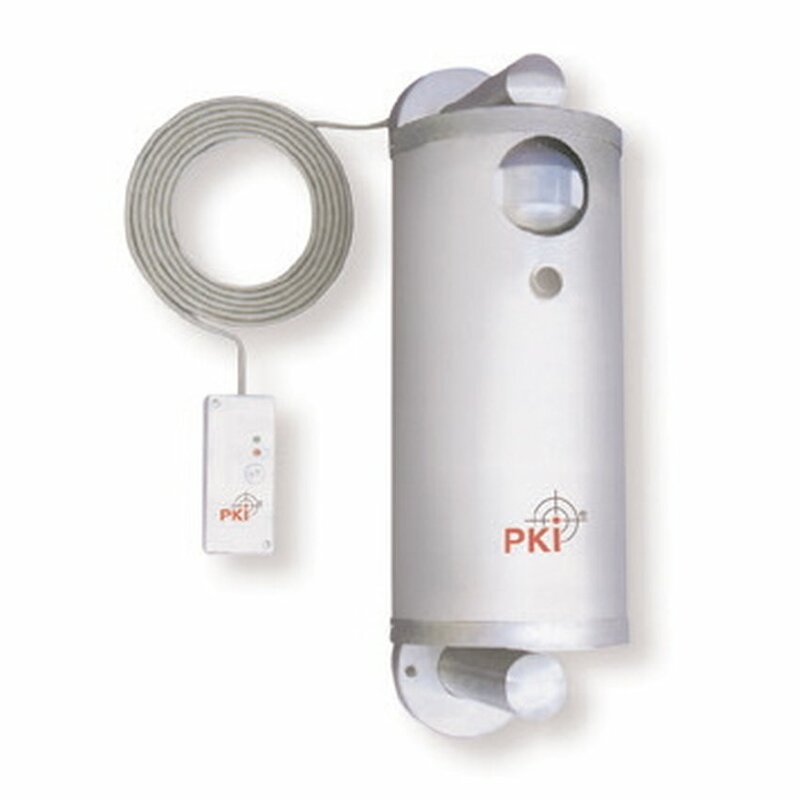 The PKI 9745 has been developed as ancillary component for already installed alarm systems. It consists in a defence system with irritant gas, which is approved as protection against people, combined with a warning announcement. Its housing is made in extra solid stainless steel to protect against damage. Once the main alarm system is turned on, the PKI 9745 switches into standby mode. Only an alert will activate the defence system. At first a loud warning message will be announced: “Leave the secure area immediately, or irritant gas will be released”. This clear and unmistakable warning gives the intruder the possibility to retreat. Otherwise, if he ignores it and continues to enter the detection range of the PKI 9745, the irritant gas will automatically be ejected. If this discouraged the intruder and he backs out, the PKI 9745 will turn back into standby mode. If the intruder however continues to approach, further irritant gas ejections will be released. After each ejection the dose of irritant gas will be increased. By turning off the alarm system, the PKI 9745 will be turned off as well.